Our pest control maintenance plans will keep spiders, ants, earwigs, wasps, mice, and other pests out and away from your home. Our business-friendly service programs will keep many of the most common pests from invading your business. Did you just discover a huge wasp nest in your attic or mice in your crawl space? Call us now! Pests invading your home or business is always inconvenient. 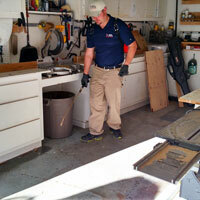 Gem State Pest Solutions is ready to solve all your pest problems. 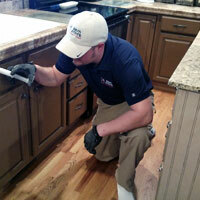 Our team of qualified technicians will be happy to solve any pest problem you have. We are a small, locally-owned company serving Idaho Falls, Pocatello, and all of Eastern Idaho. We offer an excellent level of service for an affordable price. We are your strongest weapon against pests! At Gem State Pest Solutions, our mission is to find pests, remove them from your home or business, and use regular pest control treatments to keep them from coming back. 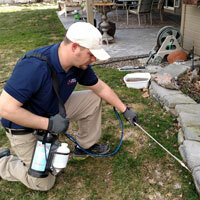 Our technicians are licensed pest control applicators (Idaho State Department of Agriculture) who put customers first. We'll do our very best to remove wasps, ants, spiders, and any other pests, guaranteed. Our products are family and pet friendly. We have a service satisfaction guarantee. Most efficient application equipment in the industry. We'll always contact you before a service. In Eastern Idaho, contact us for a quote. © 2019 Gem State Pest Solutions, LLC. All rights reserved.